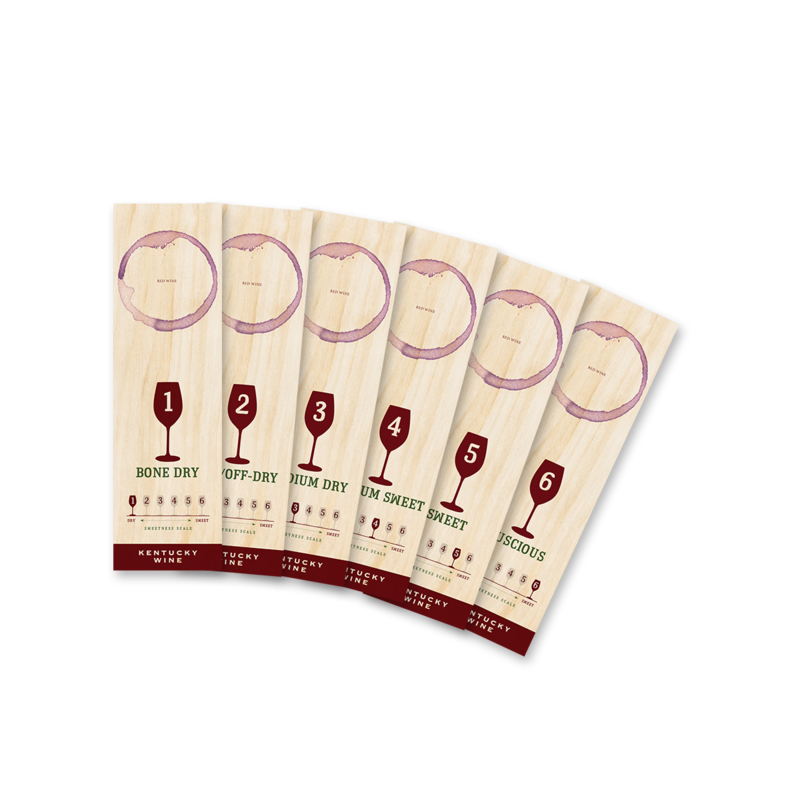 The Kentucky Wine Sweetness Scale is a uniformed guide adopted by the Commonwealth’s wineries to help easily determine the sweetness level in a bottle of wine without having to pop the cork. So, what does this mean for you, the consumer? In a nut shell, it makes selecting a Kentucky wine from the store shelf simpler. Most people know they’re in for a big dry red when reaching for a Napa Cab but what about a Kentucky Vidal Blanc or Chambourcin?? The truth is, there are dry and tart Vidals and there are sticky sweet Vidals…sometimes from the same winery! A number of wineries use some version of their own sweetness scales, but scales can be subjective and one winery’s off dry may be another winery’s sweet. The Kentucky Wine Sweetness Scale is based on residual sugar, adjusted for acidity and then easily categorized on a scale from 1 (bone dry) to 6 (lusciously sweet). So, the next time you reach for a Kentucky Wine, check the label for a Kentucky Wine Sweetness Scale.